In preparation for our academic audience projects we’ll be discussing academic discourses and the function of academic disciplines in the creation of knowledge. 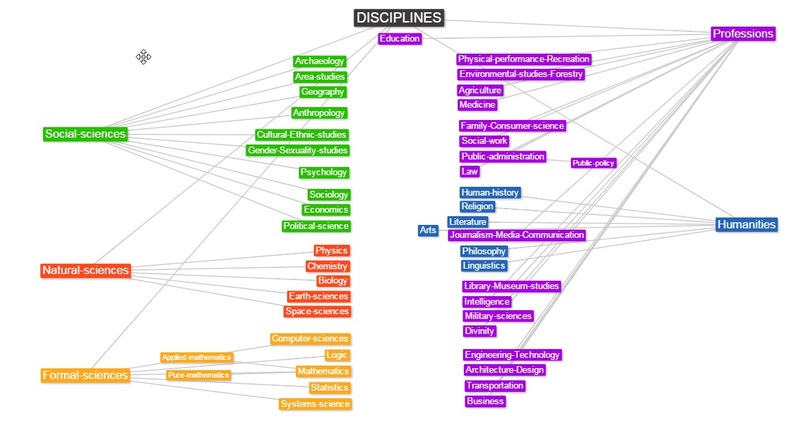 One of the challenges will be to think about how your particular interests and goals in research map onto our inherited system of academic disciplines and their attendant methods and discourses. Not only are universities and colleges structured by these concepts, e.g. into departments and programs with specific curricula, but they also organize effective and credible communication of ideas for specific communities of scholars.